The first type is referred as a fiat exchange. 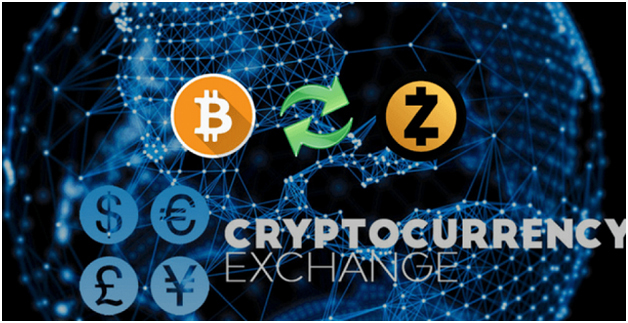 Such a type of exchange allows you to directly transfer US Dollars, Euros and other government supported currency trade for crypto currency. The second form of exchange involves the interchange between one crypto currency to the other. This allows the crypto currencies to trade with each other. The exchange between Bitcoin and Ethereum is the most common form of exchange. Based on the crypto currencies that you are planning to acquire, there is a need to use some specific types of exchanges. In order to get hold of the majority of the crypto currencies accessible in the market, it is necessary that you are using both the types of exchanges as mentioned above. The reason is that the stringent rules and regulations for certain types of crypto currencies makes it quite a challenging and tedious task for the fiat exchanges to sell them. The types of exchanges mentioned have their own pros and cons. Hence, the most suitable exchange for one individual might not be a good option for another person. The safety measure of the website and the server. It is always recommended to make use of the secure exchanges. What is the value of the liquidity? It is said that the higher the volume of exchange, the better it is. The exchange fees must be considered. When the fees are on the lower end, it is better for you. Is the currency exchange customer support satisfactory enough? You need to know about the trading pairs that are available for exchanging. Find out the different payment options that are available. You need to find out whether the exchange is a user friendly platform for the beginners. Coinbase is one of the popular beginner friendly exchanges. Thanks to its simple and easy to use interface which makes it ideal for the beginners or novice users in the crypto currency world. Its headquarter is situated in San Francisco, California. You are basically buying Bitcoin and other crypto currencies directly from Coin base. There is no dependency on other users for the purchase. Looking at the feature, it won�t be wrong to say that Coinbase acts more as a brokerage or an intermediary agent. Recently, Coinbase has undergone a rebranding and is referred as the Coinbase Pro. With the rebranding the exchange has been updated with new features and better user interface. The lack of the presence of Altcoins in Coinbase has negatively influenced its reputation in the past. But, soon there will be more variety available. Is it safe to use Coinbase exchange? The best thing about Coinbase is that it is absolutely safe to use. Moreover, there are no known hacks and scams till date. You must be wondering how is this possible. The reason is very simple. Coinbase makes sure that only 2% of the crypto currency exchange takes place online. The rest of the exchanges are usually kept safe in cold storage. In case, an unwanted event takes place in the Coinbase�s funds, they are usually insured privately by the Lloyds of London. Individuals whose account have $250,000 and under are also referred as FDIC. Like the majority of the exchanges, Coinbase also avails its users to set a two-factor authentication. Thanks to the two-factor authentication that allows you to relate a second device which receives a code when sign-up. It is recommended that you should never use SMS for two-factor authentication since it is not a secure method for exchanging. There is a point to note that you must give importance. Currently, the US government doesn�t allow the exchange of Ripple due to the modified rules and regulations. When a credit or debit card is used for Coinmama exchange, usually the fee charge is at 5.5%, which is on the higher end. The fee almost adds up to 10% as additional charges are levied. Despite the hike in pricing, there are several users who still depend on Coinmam�s services in order to acquire crypto assets that they would like to have. If you are a user of Coinmama, you are well aware of the fact, that there is no wallet provided for the exchange of currencies to take place. In fact, you will be asked to provide with a wallet address. This is done with the intention of delivering the purchased crypto currency. In fact, if you have your very own e-wallet, it won�t be an issue at all. You must keep in mind of the fact that once the fiat currency is exchanged to crypto currency, you won�t be able to revert it back. Hence, it is suggested that you must think twice before making any final decision. The payment mode of Coinmama When you are using Coinmama, you know it very well that it is one of the most secured and efficient ways of acquiring crypto currencies directly via credit or debit card. The best part is that unlike the traditional exchanges of currencies, Coinmama doesn�t include any unnecessary verification process. The exchange accepts every Visa or Master credit and debit card. Hence, you don�t have to face the hurdles and the hassles of the wire transfers associated with other normal exchanges. Your funds will not be stored by Coinmama. Instead, it will be exchanged and sent directly to the wallet, you own or the wallet address that you have provided. How to get started with Bitpanda? In order to start with the Bitpanda services, there are step by step procedures that you need to follow. Let us understand them one by one. Once you enter your email id and confirm the address, your sign up procedure is considered as complete. There are verification partners of Bitpanda, that helps in the easy and fast verification and deposition of funds. Now, you are ready to log in and start buying or selling Bitcoin and other available crypto currencies for exchange via Bitpanda. Why should you opt for Bitpanda? If you are a newcomer or a beginner in the field, Bitpanda offers you with the easiest and the fastest way of crypto currency exchange. It is no doubt, an easy and convenient medium, especially for those who have never used any crypto currency exchange medium before. With the use of the state of the technology, and priority given to the security, you can safely exchange currencies without any concern. You can store your fund 100% securely in offline wallets. This is also one of the main reasons that can prevent the cases of online scams and frauds. Bitpanda is really fast and reliable as it provides services 24*7. The presence of the high end servers, automated order system and API applications make Bitpanda a reliable and trustworthy resource. You can choose from a wide array of payment method options. Perhaps one of the most striking aspects of Bitpanda is that you can send and receive crypto currencies to and from other Bitpanda users in an easy and fast way, without incurring any cost. Hence, the reason why the customer base of Bitpanda is rising so rapidly on an everyday basis. Once the verification process is complete and successful, anyone can use Bitpanda with all the features and limitations. The exchange also supports card payment deposits. Furthermore, the good news is that the trading charge is quite low as compared to the other popular exchanges. The trading fee is only 0.25%, though it varies on the trading pairs you choose for interchanging. If your account is 100% verified, you have the ability to trade a maximum of $100,000 EUR on a monthly basis. Furthermore, the presence of LUNO app on Android and iOS platforms makes the whole process of buying, trading and storing crypto currency super convenient, easy and simple. Why is Luno acquiring popularity in the world of crypto currency? There are several reasons available that makes Luno a better choice as a medium of exchange. Luno is 100% reliable and trustworthy Luno has been operating since 2013 and is quite successful in the transaction of millions of dollars. There are satisfied and happy customers spread almost over forty nations and even more. From the design and functioning perspective, it is quite clear that Luno has been built or created for the people or the common mass. There are local payment methods and customer care service accessible in multiple languages. This is one of the biggest features that makes Luno a people friendly exchange. Some of the biggest organizations and the top level companies in the world like Google, Barclays, Amazon, Morgan Stanley etc., have made use of Luno. Hence, the exchange has received a global or an international exposure. Moreover, there are talented and professionally experienced teams to handle the exchange. Sophisticated and the latest, advanced security systems are in use. Hence, you can be assured of the fact that your money is safe without any compromise. With its headquarters in London, UK, CEX.IO has more than two million accounts. It won�t be wrong to say that it is a cross platform reading exchange with a wide number of crypto currencies for sale. CEX.IO was once, long time back, affected by a hack, but since then there has been no issues so far. If you are looking for a high liquidity and secured exchange, CEX.IO is definitely one of them to rely on. You will not be disappointed with the services offered by the exchange platform. When you look at CEX.IO at a first glance, it will seem as if it has no or very little fees. This is done by billing a premium on the price of Bitcoin. In reality, when you are buying a crypto currency on CEX.IO, you are paying more than the actual currency as compared to the price of the other exchanges. This won�t be a matter of concern for you as it is considered similar to a service fee. What makes you opt for CEX.IO? When it comes to the security factor, you will not be disappointed. The exchange is completely compliant with PCI DSS standards, data encryption and security against DDoS attacks. Hence, you are guarded against online scams. The payment options are not complicated and quite popular. Bank transfer via SEPA and SWIFT, and the use of VISA and Mastercard are allowed. CEX.IO has a global coverage, including around ninety nine nations of the world, and twenty four states of the USA. Hence, it can be said that it is an internationally reputed exchange. The exchange works in compliance with the legal rules and regulations. There are necessary licenses associated with the banks, registration in the UK, and has the MSB status in FinCEN. Because of the cross platform trading design, you can trade via mobile apps and websites. In fact, trading is also possible through WebSocket, REST API and FIX API. One of the highlighting features of CEX.IO is that the reports can be downloaded and you can get hold of the real time balance. Moreover, you get to know about transaction history and the fees is transparent in nature. There is a high liquidity with an access to a high liquidity orderbook for the top notch pairing of currency. Kraken is considered as one of the efficient crypto currency exchanges. In terms of reliability, high security, legal compliance, Kraken is considered as one of the better options. It offers almost 15 pairings of crypto currency, which includes popular crypto currencies like Ripple, ZCash, Monero. It was founded in 2011 and headquartered in San Francisco, California. Why do people opt for Kraken? The funding is fast and rapid. The fee of the whole process is low. 24*7 reliable support and service. The best part is that the exchange is legally compliant. As per the security parameters are concerned, you don�t have to worry at all. Trading crypto currencies are so easy and convenient. In case, you are looking for peer to peer exchange (P2P) LocalBitcoins are considered an excellent option. It will allow you to trade within your own peer individually at a pocket friendly fee. Moreover, you can also post an ad for buying or selling of crypto currency on the platform. It won�t be wrong to say that LocalBitcoins is one of the best platforms for peer to peer trading of crypto currencies. What make LocalBitcoins so popular today? As a crypto currency exchange platform, Bitstamp was founded in 2011 and is headquartered in Luxembourg. The exchange platform provides a high trading volume that provides more liquidity. There is a low fee of 0.25%, while buying or trading crypto currencies on Bitstamp. Bitstamp offers a wide variety of crypto currency trading pairs. It is a Europe based exchange platform, but users from the USA and even other nations can involve in international transfers at a very low fee. What are the highlighting features of Bitstand? You can instantly trade, and the best part is that all the major credit cards are accepted and supported. You will be surprised to know that almost 98% of the digital assets are stored offline. This is one of the main reasons that makes Bitstand so secure. Moreover, there is transparency maintained in the transactions. There are no hidden fees. This means that the whole concept of pricing is 100% transparent. Bitstand is regarded as one of the most efficient crypto currency exchange platforms. Though the fee charge is as low as 0.1%, Gemini offers high level security and there is legal compliance. There is a multiple factor authentication and the information is stored offline, which makes it so secure. Recently, Gemini has included the ZCash crypto currency for exchange. Now let us have a look at the popular crypto to crypto exchanges. Binance is a Hong Kong based exchange platform that has its offices located in several other parts of the world. India, China, and the US states are the most prominent ones. In a very recent time, Binance has introduced SAFU or Secure Asset Fund for Users that takes 10% of the trading fees that is earned during the exchange. This is done with the intention of giving it back to the users in case there is any hacking or scams. What makes Binance so popular? It is a comparatively new crypto currency exchange that is based in Korea. 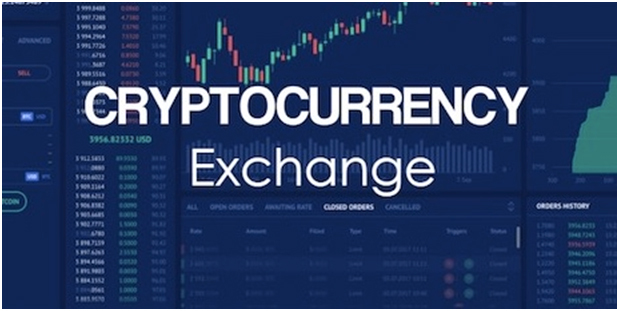 The exchange offers a wide range of crypto currencies for sale. Similar to Binance, even Kucoin has its very own token, which is called Kucoin shares. It rewards the users a percentage of the total trading fees of the exchange. The trading fee is as low as 0.1%. What are the features of Kucoin? The fee is very low. The customer care support is really good and satisfactory. It has its own tokens, known as Kucoin shares. Kucoin has its very own mobile app for easy operation. There is a wide array of crypto currency trade pairing. As an exchange platform, it has a totally different and unique approach. As a user you don�t store the crypto currency on the exchange. Instead, Changelly sets up conversion transactions. You have to choose an input or an output currency and a specific amount. You can completely rely on the exchange transactions of Changelly. As compared to other exchange platforms, Changelly will charge you with a very nominal fee of 0.05%. The transaction takes place really fast. It is a US based regulated exchange platform that offers a wide array of trading pairs and can support up to 190 crypto currencies and more. The fee charge is 0.25%, which is often considered on the higher end as compared to the competitors. What can Biitrex offer? The customer support is very good, which includes Email, Twitter and Slack In the present era, as a user, you will be allowed to deposit fiat currency into their exchange. It is a New Zealand based exchange with a wide array of crypto currencies available. The best part about the exchange platform is that it is accessible to all the nations. Moreover, the trading fees are charged at 0.2%. The exchange offers a forum where any item or service can be bought with crypto currency. A wide array of crypto currencies is available for exchange. It is available everywhere around the world. The fee charge is low. You can buy anything with the exchange of currencies. Bitfinex is a Hong Kong based crypto currency trading exchange platform. The fee is charged at 0.1% for makers and 0.2% for the takers. The exchange platform doesn�t allow the US users to sign up for using the exchange platform. Its usage is limited to the countries it operates. What are the features of Bitfinex? As a US based exchange platform, Poloniex is available in the majority of the nations around the world. The exchange platform charges 0.15% fees for makers and 0.25% for takers. Poloniex is considered as one of the most active crypto exchanges in the entire world. The trading tools that are used for the exchanging of crypto currencies are highly advanced and modern. Your money is 100% secured and protected because of the air gapped cold storage. For online trading only those things are present that are actually required. Thanks to the 24*7 monitoring that keeps away any kind of suspicious activities. When you come across the world of crypto currency, you will find a wide array of exchange platforms. Depending on your demands and requirements, you can choose either fiat exchange or crypto to crypto exchange. Moreover, it is the difference between the two types of exchanges, that is there is a distinction in the exchange fee structure, features, supported nations and supported coins and customer care support. How do you deposit into any exchange? The whole deposition process will differ based on the type of exchange you are using. In case, the exchange platform is a fiat exchange, it is necessary for you to link any of the payment methods that are accessible, such as credit card, debit card or bank account transfers. 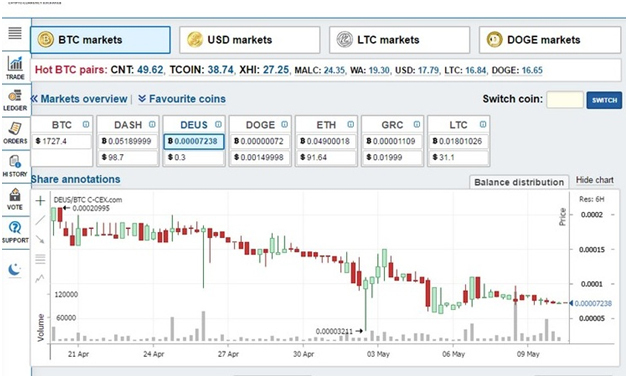 Furthermore, if you are using a crypto to crypto exchange, you will find a page on the exchange platform�s wallets. You need to click that where you will find a deposit address for every crypto currency available on the exchange platform. How to withdraw from an exchange? Very similar to the deposits of exchange, it also varies depending on the type of exchange you are using. The majority of the fiat exchanges will allow you to withdraw the sold crypto back to the bank account. It allows withdrawal using both credit and debit cards, and this is a rare occasion.